Ex Libris: Giveaway: W*n The Devil's Thief by Samantha Kane! 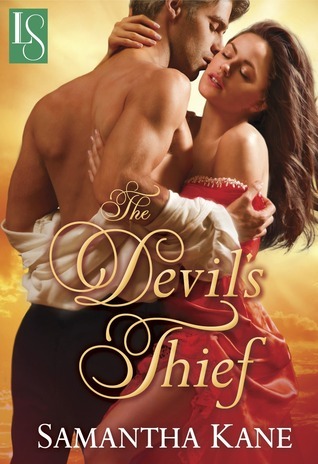 The giveaway for an ebook copy of The Devil's Thief by Samantha Kane ends tomorrow, but today Random House brings you another chance to win a paperback copy of Samantha Kane's first novel in her new steamy historical romance series! Random House has very generously offered a paperback copy of The Devil's Thief by Samantha Kane to a lucky reader! Giveaway is open only to US addresses and ends on 16 November 2012!